The LM3914 is a monolithic integrated circuit that senses analog voltage levels and drives 10 LEDs.. The PICkit 2 programmer is a development tool with an easy to use interface for programming an..
BC187 is a General purpose switching and amplification Transistor. Specifications· .. The MCP9701 can accurately measure temperature from -10°C to +125°C. The output of the MCP9701 is ..
Mifare RC522 is the highly integrated RFID card reader which works on non-contact 13.56mhz communica..
Soldering iron 12 volt DC is a micro soldering pen useful for working with soldering station. It i.. 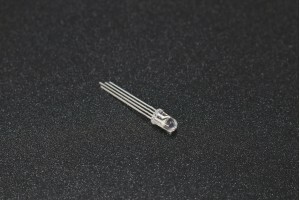 The 4N33 is an optically coupled isolators with a gallium arsenide infrared LED and a silicon phot..